Is there gold in your backlist? Self-publish and find out! 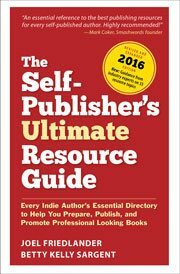 I also got a mention on the interesting Good Bad and Ugly Books for Writers site, luckily in the “Good” section. You can find it here: the good. Thanks for mentioning my new http://www.goodbadanduglybooks.com site. I wasn’t going to tell you about it for a few more days when it would be a bit more highly evolved. I’m typing this from a PC in a hotel dining room in Mass., and saw a big blank space on the home page that was not on my PCs at home or in my office. I also still have to set up the site so it can make some money. I had not planned to become a bookseller (or a publisher or author), but with Borders fading away, maybe there’s an opportunity for “virtual hand-selling.” My policy is not to recommend any book unless I’ve read it. Bookstore employees may not have that policy. Ironically, I’m launching the site at the time of Book Expo in New York. In the past, I’ve attended BEA as a writer, publisher and reporter. This year I’ll also attend as a bookseller, like most BEA attendees. It’s tough to hide from Google. It’s nice that Google linked to the site a few hours after it was launched, and I didn’t pay a million dollars to be Googled. Probably the links you sent to it from your other sites, don’t you think?